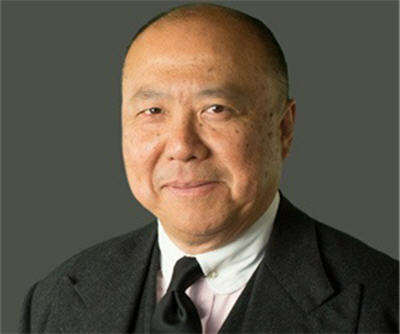 Edmund C Moy, former US Mint Director and senior aide to President George W Bush, recently joined gold-backed IRA provider Fortress Gold Group as chief strategist. In this interview with MINING.com, Moy discusses growing demand from Asia, paper versus physical markets in gold, the changing central bank landscape and argues that the clamor from citizens for greater transparency about official gold holdings would only grow. “When the gold price hit $1,900 an ounce in 2011, it really should have been at $1,600. It will probably overshoot on the downside too. Paper markets are always way behind or way ahead,” says Moy. The divergence can also be explained by the fact that individuals tend to buy physical gold and exchange traded products while institutions are active on the derivatives market. The paper gold market has become so leveraged with $240 billion in trading volumes each day – hundreds of times annual gold output and more than some major currency pairs and the S&P 500 and the Dow Jones combined. Gold’s early run-up this year was attributed to safe haven buying as the crisis in Ukraine and Iraq unfolded, but says Moy, the impact of buying during times of turmoil is hard to quantify and has little influence on the gold derivatives market. “Safe haven demand comes from individuals buying physical gold in order to have a tangible asset. Speculators buy paper where every ounce of gold has multiple owners,” says Moy. As the largest market maker in physical gold, Moy points to the US Mint where Gold Eagle coin sales soared following the global financial crisis to top 1.4 million ounces in 2009. But just like ETF holdings of gold which are back to 2009 levels, US Mint coin sales have been declining since then and could come in below 600,000 ounces this year. The increasing popularity of gold and silver-backed individual retirement accounts or IRAs is another example of growing demand by individuals to hold metal in their portfolios. “It’s tough to put a number on it as private companies would not divulge numbers, but the trend is there. The ‘miscellaneous’ investment category in the IRA industry which would include gold IRAs have gone from 1% to around 4% of the total,” says Moy. It’s definitely true for Fortress Gold Group – the Sherman Oaks, California based company is ranked number 113 on the Inc. 500 list of "The Fastest-Growing Private Companies" in America. Moy says a 2%-3% portfolio allocation for gold is perhaps too low while 10% is on the high side. "At around 5% of your portfolio, gold acts as an insurance policy. It moves in opposite direction to other securities and the dollar and this way you can participate in the upside of rising stocks markets for example, but you're also covered on the downside." Moy believes gold purchasers in India and China are the ultimate buy and hold investors. “All the gold that has flowed from West to East in recent years are unlikely to ever return,” says Moy. While Asian demand is a function of a growing middle class and expanding economies, cultural factors play a huge role with gold ingrained in local traditions. It is also considered to bring prestige and good luck. Asian buyers also prefer gold as a storer of wealth given many years of economic upheavals and successive currency crises, says Moy. And in places like India, even with draconian curbs on importation, demand has stayed relatively robust. It's not just individuals in Asia investing in gold bars and coins, but the region's countries see the value of holding gold too. Moy believes the trend where the globe’s central banks continue to buy gold, or at a minimum hold onto existing reserves, is not going away and may only intensify. Central banks, especially in emerging markets and the East, have been picking up bullion steadily in recent years while in Europe an agreement to limit sales have been rendered irrelevant as the block’s banks become net buyers. Says Moy: “India and China are asking why have we never headed up the IMF or the World Bank? Why is the price of gold fixed in London? China has not disclosed gold holdings since 2009, but it is widely believed that People’s Bank of the world’s second largest economy holds much more than the just over 1,050 tonnes publicly disclosed. In comparison to the US which holds more than 70% of its forex reserves in gold, the figure for China is 1%. In Germany the Bundesbank tried and mostly failed to repatriate the country’s gold reserves held in the US by the New York Federal Reserve, the Dutch were apparently more successful in a similar venture and there is growing pressure in other countries ranging from Mexico to Azerbaijan to Switzerland, to not only bring back gold held elsewhere but also to conduct audits and in some cases bar central banks from disposing of the metal. As director of the US Mint, Moy responsibilities included custodianship of US Gold reserves at Fort Knox and West Point, and he believes the calls for greater transparency is a function of general uncertainty and growing mistrust about the actions of central banks and the impact on financial systems of monetary expansion and the rapid creation of fiat currency. “Citizens are wondering whether their gold is still there or if anything untoward has happened to it. The frequency and intensity of demands for reserve banks to conduct audits will only grow,” says Moy, adding that with a new Republican majority in both houses he would not be surprise to see calls for an audit of Fort Knox, which holds the bulk of the 8,133 tonnes of US reserves, growing louder. As director of the Mint from 2006 to 2011, Edmund C Moy increased gold, silver and platinum bullion coin revenues by 975% to a record $3.5 billion in annual sales. Prior his nomination to lead the Mint, Moy served in the White House, where he oversaw the presidential appointee selection process. He was also part of the transition team that established the Department of Homeland Security in 2001. Moy is a frequent presence on CNBC, Fox Business News and Bloomberg Television, The Wall Street Journal, Reuters, Bloomberg, Kitco News and CNNMoney.com. Fortress Gold Group specializes in securing individual retirement accounts with precious metals such as gold and silver. The company also offers investment management services that provide asset protection and diversification. Fortress Gold Group is ranked No. 113 on the Inc. 500 list of "The Fastest-Growing Private Companies" in the United States and No. 11 on the list of "Top Financial Services Companies" in the United States and No. 1 in Precious Metals.